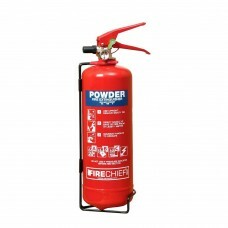 Dry Powder Fire Extinguisher 2kg. This dry powder fire extinguisher is for use on all Class A, B and C fires such as wood, paper, flammable liquids and flammable gases. This dry powder fire extinguisher is all safe for live electrical equipment and vehicle protection. To British and European Standard BS EN 3.